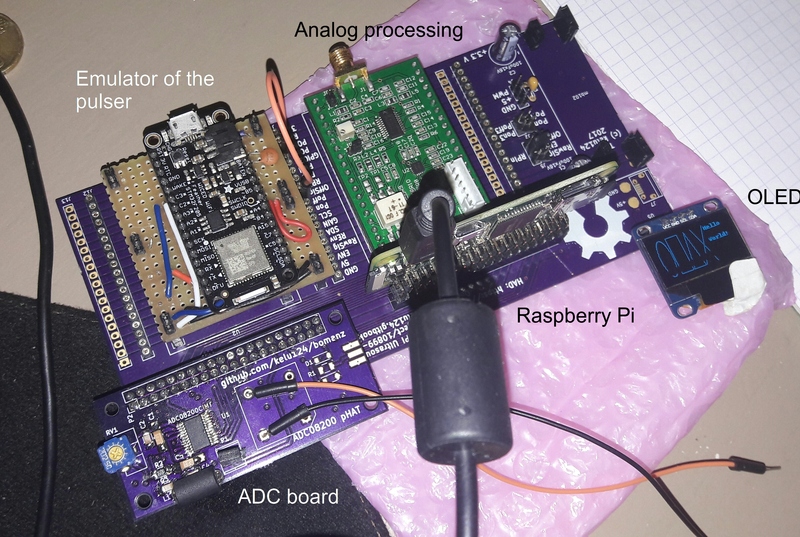 building an analog "debugging tool" to explore ultrasound imaging systems. having a kit that can be used for pedagogical and academic purposes - not to mention people who want to understand ultrasound! Previous project has shown the feasibility of the hardware, but was not simple enough. Let&apos;s keep the momentum, and use this dev kit in other projects as well - such as dopplers or non-destructive testing, different projects using piezos as sensors. Ultrasound imaging has evolved since the first ultrasound machine appeared. The first devices were using single-sensor (transducers) techniques, coupled with mechanical scanning - hence allowing a single signal processing channel. The architecture of such systems, as shown below, is well-known and formed the basis of ultrasound imaging. 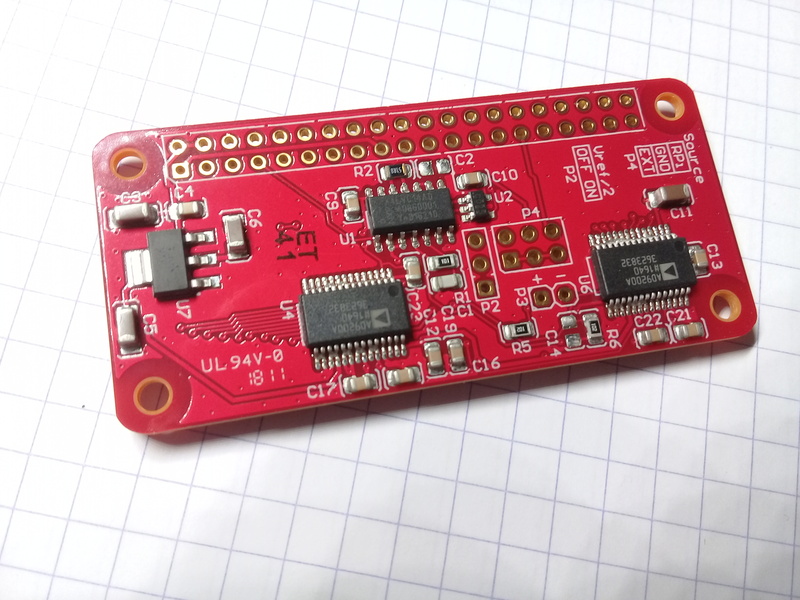 This kit consists of several modules mainly built from easily available components - after a short benchmark of existing ICs. Two electronic modules were specifically designed to provide the basic development kit. the RPi high-speed ADC uses two interleaved AD9200, clocked with the RPi, which reads at 11Msps, leading to an effective 22Msps acquisition speed (bottleneck being the RPi copying the ADC values through the GPIOs register to RAM). 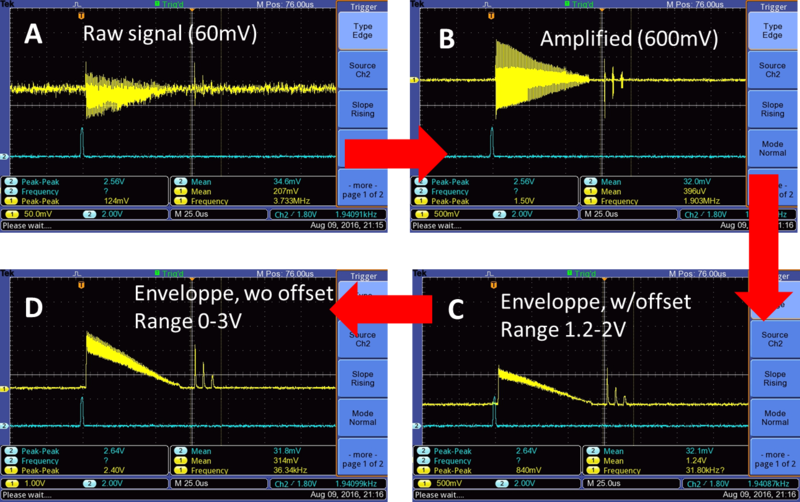 The signals can be read as is (eg in case of analog enveloppe detection) or offset by Vref/2 (to acquire the raw signal). Due to the GPIO necessary to run the modules, we are left with 2x9 GPIO left, resulting in a 22Msps, 9 bit ADC. 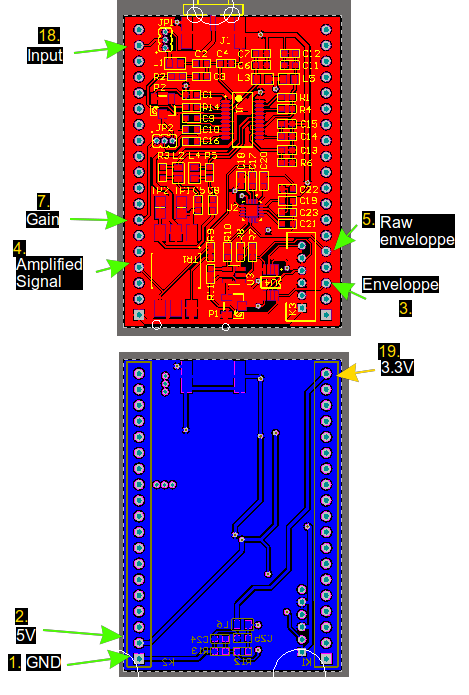 One or two logic signals can additionaly be sampled - for an external motor hall sensor for example. A modular approach was chosen to ensure that each key component inside the ultrasound image processing can easily be replaced and compared with another module. Each electronic module takes the place of a function in the signal processing chain or allows tapping into the different signals circulating between the blocks. 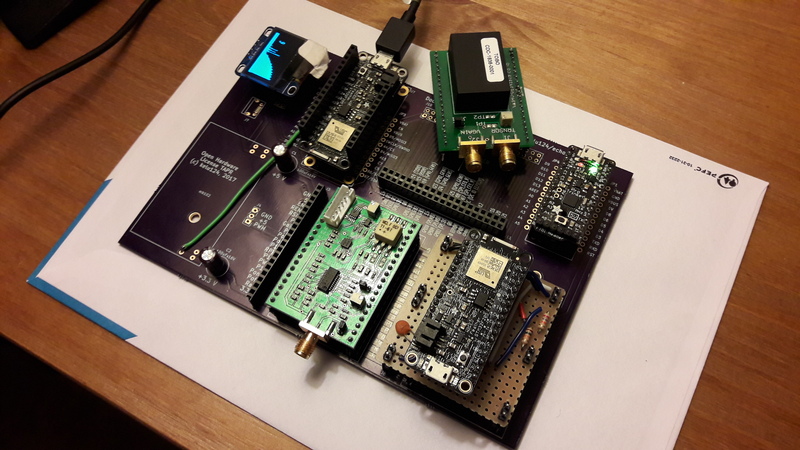 Previous experiments have been done, to get images using different digital acquisition systems, such as a bitscope, a STM32, or a high-speed ADC for beaglebone. The Raspberry Pi was retained in the end for its ease of use, its price, and community working on it - increasing the potential reach of the project. 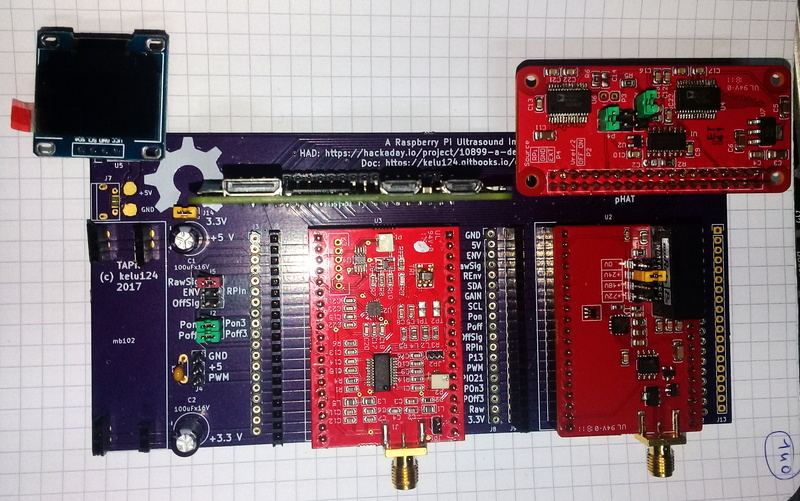 an ADC cape - a custom made 11Msps to 22Msps ADC pHAT for Raspberries. Read more on the dedicated page. The pulser is controled by a double signal, one, PulseOn, to start the pulse, and the other, PulseOff, to bring the pulse back to 0. Note: The setup presented here was with the Raspberry Pi + ADC setup. Raspberry Pi kernel modules and software can be found following the previous link. The PulseOn, PulseOff and signal output are represented below. Yellow is PulseOn, Blue is PulseOff. The logic is also 3.3V and 5V tolerant. 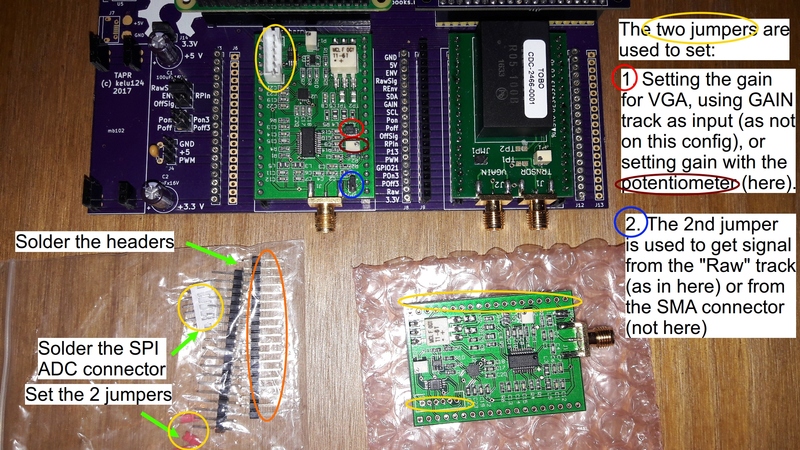 Here, the control signals were produced with a raspberry pi. For the sake of testing, keep PulseOn as long as your pulse needs to be, but keep PulseOff (or "Damper") on for something around 5 - 10 us. You can test for example with the simple code here, inspired from the retired pulse control OneEye. As a piece of advice, don&apos;t solder your modules directly on the motherboard... unless you&apos;re sure that they are properly set up, that there&apos;s no short, ... and keep the design as modular as possible. Instead, solder header, 19 slot long, for each side of the modules. These will be the host for the pins coming from the different modules. Nothing can keep you from soldering round slot headers for ease of using wire jumpers. 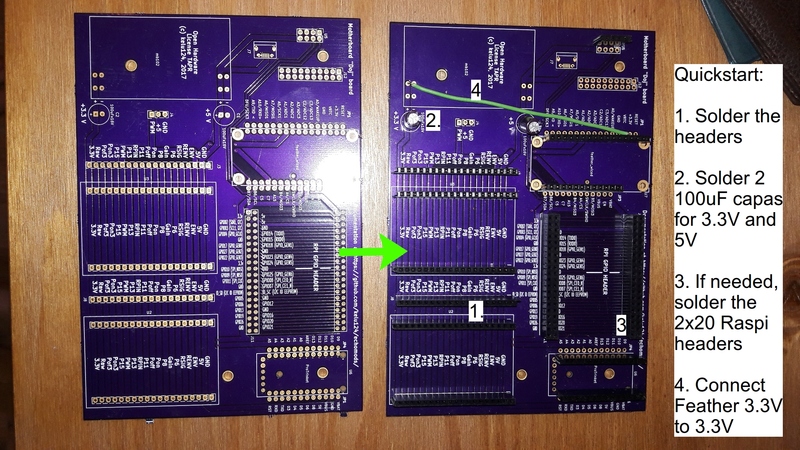 Don&apos;t forget to put some capacitance on the dedicated slots on the motherboard to smooth the supply - and on Doj v2, to include the 3.3V jumper (above the 5V capa) so that the Pi can provide the necessary 3.3V to the board, and, if using a Pi, to solder the Pon <-> Pon3 and Poff <-> Poff3 if you want to use a pulser at 3.3V from the Pi. How to solder the PCB ? 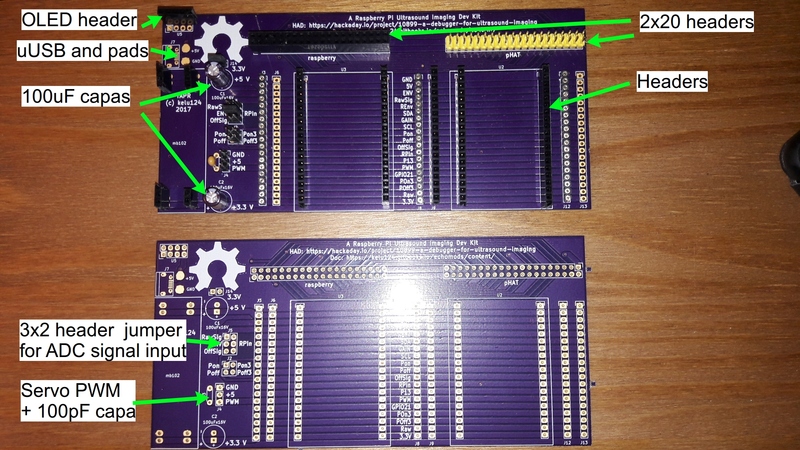 The PCB can be ordered on OSHPark - or ask me if I have one available. A couple of headers to solder. Setup the small jumper (in blue) to get signal from the "Raw Track". Other position is to get signal from SMA. Beware, there&apos;s no signal clipping there on this board. Setup the small jumper (in red) to get constant gain for TGC from the pot circle in dark red. The other position can be used if you plan on using the "GAIN" track (between 0 to 1V) to control the gain. You need to power Tobo with a 3.3V source on track 19, and 5V on track 2. Just plug it into the board! 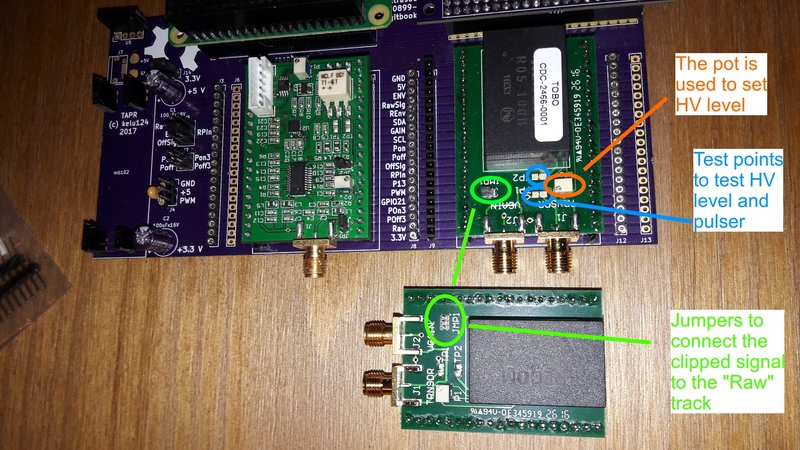 The ADC onboard selector (3x2) enables one to check input, either through the RPi pin, or the onboard entry. You can use the standalone SD card image. Alternatively, you can setup the development environment as described below. The standard module code is here and can be compiled using these steps. Log now on this raspberry, and run the run.sh command to load the driver of the ADC. You&apos;ll see that the module appears as a /dev/hsdk device. Beware! If you want to get a signal between [-1.5V and 1.5V], consider using a in series with input to remove all DC bias, and make sure the jumper are set as in the images above.